Winter might be harsh outdoors, but when frozen water pipes burst, the real emergency conditions are, ever so suddenly, indoors. 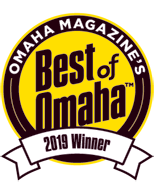 Whether you’re thinking ahead to protect yourself from this bad scenario—or you’re thinking on your toes in an actual pipe-burst situation—you can use the following helpful tips from Omaha home restoration experts to ensure that you act smart. Choose your scenario below. Contrary to popular belief, it’s not expanding ice from within a pipe that makes it burst; it’s the remaining liquid water finding nowhere else to go but out. Wherever your pipes are warm to the touch, insulation is likely needed. Insulating your pipes not only serves as a preventative measure for pipe bursts, but also reduces the cost you pay for hot water. Ask a local hardware store for pipe insulation that you can install yourself—quickly and painlessly. You can also receive federal tax credits in the process. To keep cold wind away from your pipes, seal cracks and holes in your walls with caulking. Simply walk along the walls of your house and feel for drafts. And for fainter drafts, light an incense stick. When the smoke is offset, there’s a draft. 3. Some doors are best left open. Did you know? Kitchen and bathroom cabinets can keep warm inside air from reaching pipes under sinks or in adjacent outside walls. It’s a good idea to keep cabinet doors open during cold spells to let warm air circulate around the pipes to prevent freezing. 4. Don’t hesitate to use your taps. As long as water is running and pressure doesn’t build up, there’s a far lower risk of freeze and pipes bursting. Also, it’s okay to let faucets lightly drip where you believe there could be risk of cold pipes. The slight relief in pressure prevents potential buildup within your pipes. 5. Leaving for a trip? Don’t over-lower the heat. While understandably it saves money to lower your thermostat when you’re away from home, it’s important to not be overzealous and allow your home to cool excessively in your absence. A home kept reasonably warm will ensure pipes share the same cozy condition. In the event of a frozen or broken pipe, it’s best to call a certified professional and Omaha home restoration expert immediately. In the meantime, locate the main water shut-off valve in your home.Depending on where you live and your house type, your shut-off valve may be in a utility room (or on an outside wall in a utility area of the house), crawl space, basement or at the meter. Twist it completely clockwise to interrupt the flow of water. While a pipe burst requires immediate assistance, you can also call a professional any time of year for additional precautionary tips on how to prevent this worst-case scenario. And for the best repair and restoration in the instance of water damage and other incidents, contact a certified, award-winning construction contractor serving homes and businesses since 1987.